VERIFICATION of claims made about breeds of cattle and beef products is a continuing challenge for the Australia beef industry. Every day the desire by consumers to know more about the products they are buying and feeding to their families becomes stronger. Wanting proof about such claims is human nature, and as beef production bends more to the wants and needs of the consumer, and works to differentiate and transform the products they offer, the value of being able to ‘prove it’ is on the rise. There are clear indicators that industry and consumers want proof of breed claims – whether it being a commercial beef producer paying a premium for replacement Angus heifers or someone in Malaysia sitting down to a special occasion dinner in a high-end steak restaurant. Since the concept of a verification program that gives assurance of Angus breed content of commercial cattle was floated at this year’s Angus National Conference in Ballarat, the feedback across the supply chain has been consistently positive and forthcoming, Angus Australia told its members last week. This verification program will provide assurance and integrity for progeny with a parentage of registered Angus sires over Angus or Angus cross females. As a producer, the added value of verification will result in a marketing advantage and a mechanism to build strong alliances within the market place based on integrity, transparency and trust, Angus Australia said. 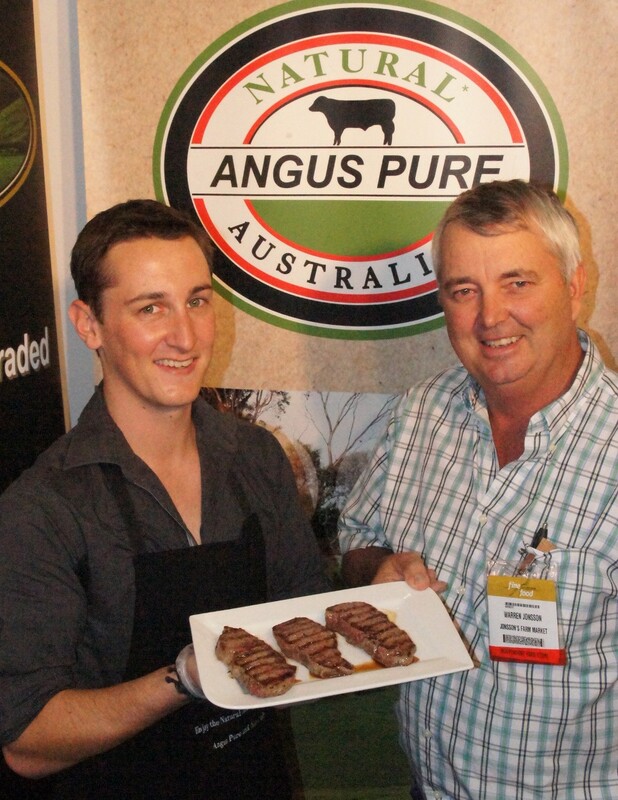 It will also give Angus producers confidence that the ‘Angus’ brand is being protected from imitators. Livestock purchasers will be able to buy cattle without doubt that they are genuine Angus and will meet a buyer’s market specification along with the value of an integrity system underpinned by Angus Australia’s sire ownership database that delivers weight and validity to these claims. And for the consumer, there is power in the knowledge that they are getting what they pay for and expect in a premium beef product labelled as Angus. The Angus Verification program is still in development, but Angus Australia said it looked forward to launching the product to industry soon. Verification within the meat business is also just as important, in delivering on consumer expectations in domestic and global meat markets. Accordingly, the independent third-party verification for Angus brands, previously conducted by Certified Angus Group Pty Ltd, has now been integrated into Angus Australia’s Commercial Supply Chain program, working closely and collaboratively with the beef supply chain. This verification will continue to be expanded by Angus Australia. Manildra Natural Australian Grassfed Angus. The list also includes what is probably the mostly widely recognised Angus brand of all, the McDonalds Angus burger range. The Angus verification program is an audited, ISO 9001 accredited system that requires constant management and a close working relationship with the companies and brands that are being verified. ‘Verified Angus Beef’ represents beef from the progeny of an Angus sire over an Angus or Angus cross female. ‘Verified Black Angus Beef’ represents beef from the progeny of a Black Angus sire over a Black Angus female. The Angus brands that utilise the verification program have a strong advantage in a competitive meat market that allows them to stand behind their product, its quality and their Angus claims with the confidence of independent third-party verification. Angus Australia said it was aiming to grow the program and verify more Angus brands to promote brand integrity and further protect the ‘Angus’ brands and breed. “We are working hard with these verified brands to promote the Angus premium and implement initiatives that will bring value to Angus Australia members, the verified brands themselves, consumers and the whole Angus supply chain,” Angus Australia said. Imitators won’t be fazed by the proposed verification programme. Consumers aren’t concerned with “pure” or “black” in the brand, they are focused on the word “Angus” and as long as commercial law prevents the capture of “Angus” as a trade mark or name, it will be used to market unverified product. i strongly agree Geoff. All to many people believe that being in McDonalds is a bad marketing ploy, however, 30c premium is better then no premium and if anything, has made the global consumer aware of the angus “brand” pulling through demand globally. Will the term…….”fake angus” come into play in the future?